The automobiles and the trolley tracks make it obvious this is not a current picture of the Capitol. Traffic does not appear to be a problem either. Down by the statue next to the tracks you can see platforms that were used by people waiting to board the trolley. 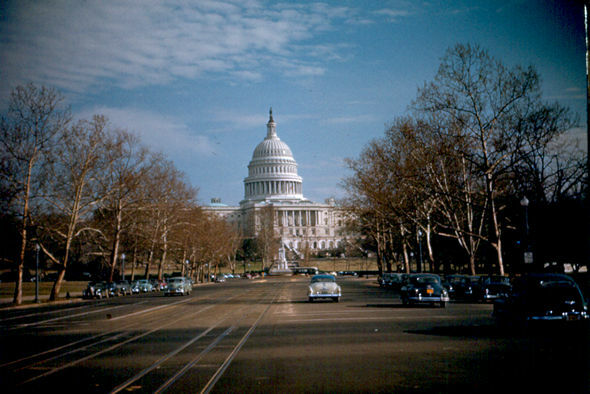 In the 1950s people could freely enter the Capitol and could even ride on the Senate Subway. They were also able to enter either chamber to listen to the Senators or Representatives conducting their business. There were no searches for weapons at the door.